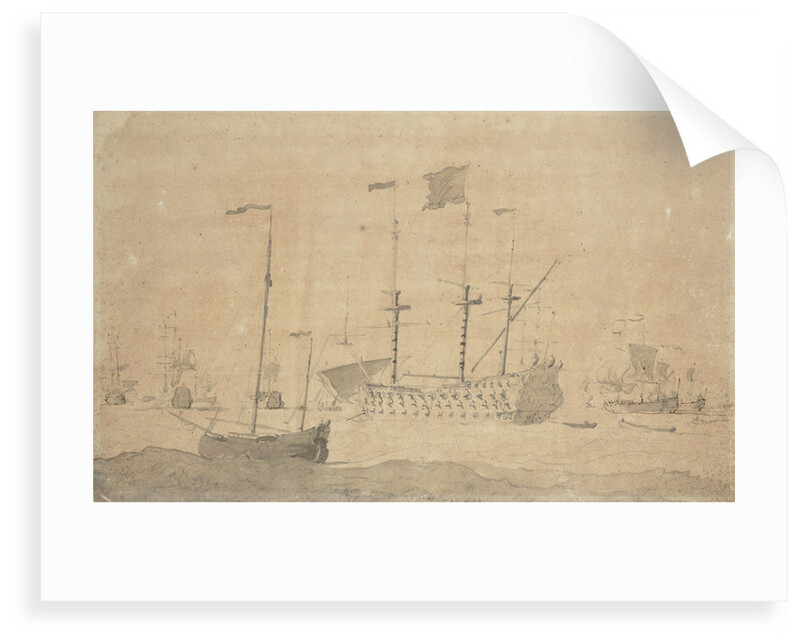 An English flagship and a ketch at anchor, June 1673? 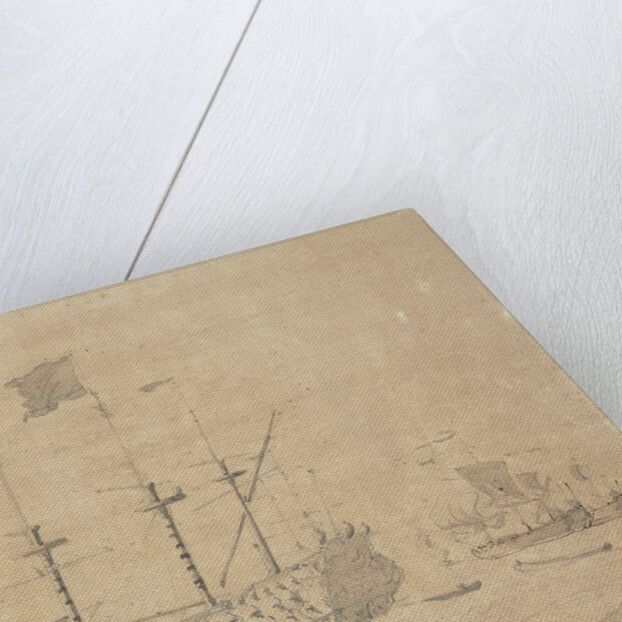 Product images of An English flagship and a ketch at anchor, June 1673? This drawing shows a three-decker, probably the 'Royal Prince', viewed from abaft the port beam lying tide-rode at anchor in a fresh breeze. Her spritsail is set and the main yard is aportlast. A dark flag is at the main, but there is no ensign or jack. In the left foreground a ketch is also tide-rode with her main yard lowered. Van de Velde the Elder had arrived in England in the autumn of 1672 and Schooneveld is the first battle he drew from the English side. He was given a ketch in which to accompany the fleet. 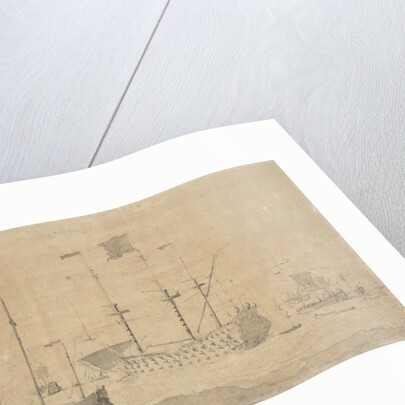 This is one of three drawings probably belonging to the period between the two battles of Schooneveld, 28 May [OS]/ 7 June and 4 [OS]/14 June 1673.